Geoff completed his BSc (Honours, First Class) at the University of Queensland in 1977 and his PhD in Chemistry at the Research School of Chemistry, Australian National University in 1981. After a Humboldt Fellowship completed at the Max Planck Institute in Mulheim an der Ruhr and postdoctoral positions at Colorado State University and the Australian National University, Geoff began his first academic appointment in 1985 in the Chemistry Department at the University of Melbourne. In 1988 he moved to the Chemistry Department at the University of Adelaide and continued discipline research and teaching until 2001. Geoff developed his passion for learning and teaching as well as continuing his work in chemistry during this time, being Associate Dean for Learning and Teaching for the Faculty of Science from 1999-2001. He was actively involved in the development of online learning and was appointed the Director of the Online Learning and Teaching Unit in 2001 to oversee the implementation of the university online system (MyUni). Geoff was the Director of the Centre for Learning and Professional Development at the University of Adelaide from 2002-2011 and was the Dean, Learning and Teaching at RMIT University in Melbourne from 2012-2015 and is currently PVC (Education) at the University of New South Wales. 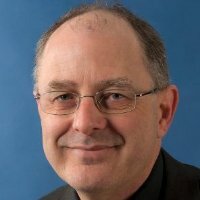 Geoff received the University of Adelaide’s Stephen Cole the Elder Prize (Excellence in Teaching) in 1999; the Royal Australian Chemical Institute Stranks Medal for Chemical Education in 2003 and Australian Learning and Teaching Council Fellowships in 2006 and 2009. Geoff is a HERDSA Fellow and a Principal Fellow of the HEA. Assessment in Virtual Learning Spaces. Geoffrey Crisp. In Physical and Virtual Learning Spaces in Higher Education: Concepts for the Modern Learning Environment. (Eds) Mike Keppell, Kay Souter and Matthew Riddle. 199-218 pp. 2012.